Arkansas death row inmate Don Davis ate his last meal tonight as state and federal courts deliberated over whether to proceed with his execution. He is one of eight men abruptly scheduled to die by lethal injection before the state’s supply of midazolam reaches its expiration date. According to CNN, Davis and Bruce Ward were originally granted stays of execution. But Arkansas’s attorney general requested that the U.S. Supreme Court overturn the ruling so that Davis’s execution could be carried out. Ward, in the meantime, has one other stay granted by the Arkansas Supreme Court, and it currently remains. Used as a sedative, inmates receive midazolam first, followed by two other drugs that cause paralysis and, ultimately, stop the heart. But as Baker noted, midazolam does not always work as intended. In these cases, the inmate remains conscious and is forced to endure a protracted, agonizing death. Resultingly, other states have eliminated midazolam from their execution procedures. Arkansas, on the contrary, is keen to use it while their quantity is still viable. The state had also briefly been prevented from using vecuronium bromide which, together with potassium chloride, kills the prisoner. 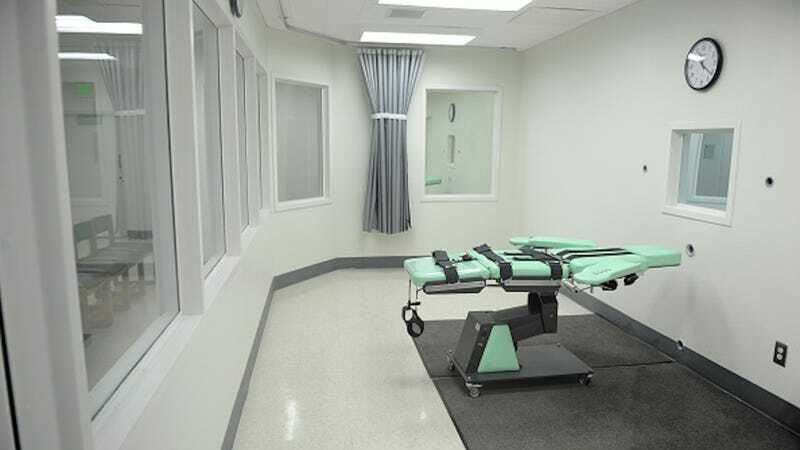 Its distributor, McKesson Medical-Surgical, stated that the drug was not created for use in capital punishment. But tonight this restraining order was also overturned. “Mr. Ward has severe﻿ and life-long schizophrenia, breaks with reality, and delusions, such as seeing demon dogs at the foot of his bed since childhood. Mr. Davis has organic brain damage, intellectual disability, a history of head injuries, fetal alcohol syndrome, and other severe mental health conditions. The current warrant for Davis’s execution expires at 1 a.m. EST. This evening, he ate fried chicken, mashed potatoes, rolls, great northern beans, and strawberry cake as a final supper.